Mark your calendar for Jan. 25-27 if you don’t want to miss The 2019 New York Times Travel Show, a spectacular travel event that can help you find your ideal getaway and plan your journeys. Tickets for the show will be available in Fall 2018. You’ll find the details below in this press release issued by the travel show organizers. The New York Times travel show is the largest travel trade and consumer convention in North America. NEW YORK, June 25, 2018 – The 2019 New York Times Travel Show will take place Jan. 25-27, 2019, at the Jacob K. Javits Center in New York City. Next year’s Travel Show will open with a Trade Day, open exclusively to travel industry professionals and writers, on Friday, Jan. 25, Saturday, Jan. 26, and Sunday, Jan. 27. will be open to the general public, as well as travel professionals and media. Overall attendance at the 2018 Travel Show—its commemorative 15th anniversary year—was 32,398, the highest in the history of the Travel Show and represented an increase in confidence and interest in leisure travel. These consumer traveler attendees estimated that they would spend more than $100 million in travel trips in the next 12 months, according to Travel Show survey results. Trade attendance was once again strong at more than 10,268, an 11% increase from the previous year. The estimated volume of travel business represented by travel agents in attendance was a record $3.3 billion, according to Travel Show survey results. Participating exhibitors also hit a new record with 610 companies representing over 176 countries. In addition to networking and negotiating new deals with travel agents, the 2018 exhibitors estimated that they created additional consumer traveler sales of approximately $7.5 million, on-site or shortly thereafter, according to Travel Show survey results. Over 1,300 members of domestic and international media – covering all seven continents and dozens of nations and regions – attended the 2018 Travel Show to gain insights from industry-focused seminars and conferences, in addition to two days of consumer events that featured 276 travel industry speakers and experts. In the coming months, The New York Times Travel Show will announce a variety of dynamic speakers and performers, interactive conference sessions, and other presentations for the 2019 Show. Please visit NYTimes.com/TravelShow and follow @NYTTravelShow for the latest New York Times Travel Show news. For photos of the 2018 New York Times Travel Show, visit here. For exhibition opportunities at The New York Times Travel Show, email nytts@mse-management.com. For speaking opportunities, email NYTTS-Speaking@mse-management.com. Visit Florida is a Silver sponsor of the 2019 Travel Show; I Love New York is a Bronze sponsor. 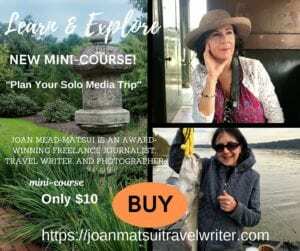 Media Sponsors include: GoNomad, Healthy Aging Magazine, Insider Travel Report, ManAboutWorld, Passport Magazine, TA Connect, travAlliancemedia, Travel Market Report. For sponsorship opportunities, email Brad Kolodny at kolodbi@nytimes.com. The New York Times Travel Show is the largest trade and consumer travel show in North America. The Travel Show is the largest and longest-running trade and consumer travel show in North America, featuring the Travel Industry Conference, Consumer Seminars, Meet The Experts Pavilion and an interactive Exhibition including more than 600 exhibitors representing travel to all seven continents, positioned within 16 pavilions (including Adventure, Africa, Asia, Australia/South Pacific, Canada, Caribbean, Cruise, Europe, Family, Global, Latin America, L.G.B.T.Q., Mexico, River Cruise, Travel Products, U.S and Wellness USA Pavilions). In addition to discounts and special offers, the show provides educational seminars and live entertainment for families, individuals and couples. 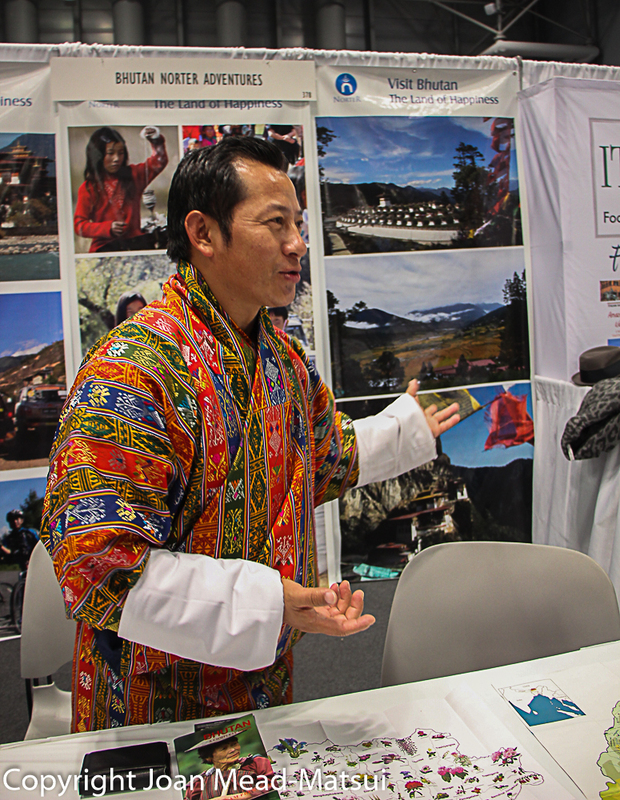 Join the conversation and follow @NYTTravelShow for the latest Travel Show news. Adventurers are spending more time in pursuit of their dream travel. This is a particularly informative article I thought I should share with my readers. Anyone who is involved in hospitality or tourism should take a moment to review travel trends. 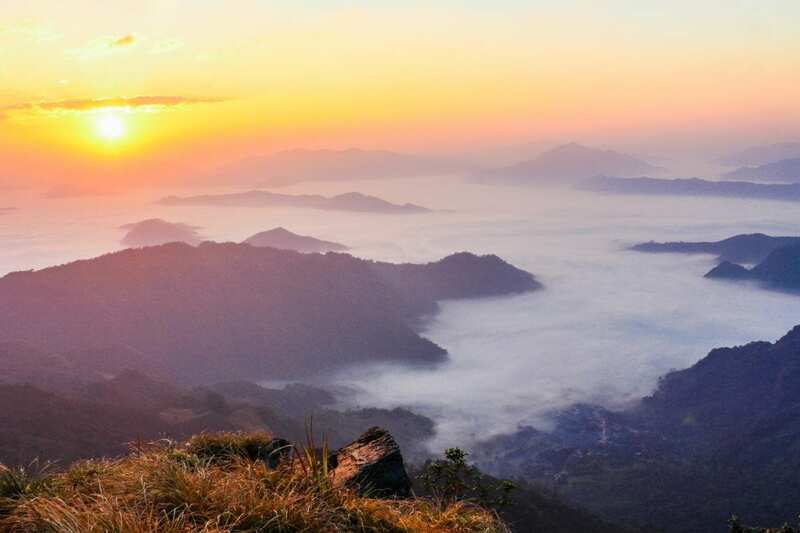 The top ten adventure travel destinations are noted below but here’s a peek at the top five, according to PRNewswire. See the full story below with links to the article source. Western Europe (France, Italy, Germany, U.K., Norway, Switzerland, etc. NEW YORK, June 21, 2018 /PRNewswire/ — Adventure travel is not just for the under 40 set nor the exclusive domain of experienced adventure enthusiasts anymore – and the majority of those booking adventure travel are spending significant money on one-week or longer trips, according to newly released survey results. The recently concluded survey was conducted by Travel Leaders Group, one of the country’s largest travel agency companies, in partnership with the Adventure Travel Trade Association (ATTA), which is a global authority on adventure travel. 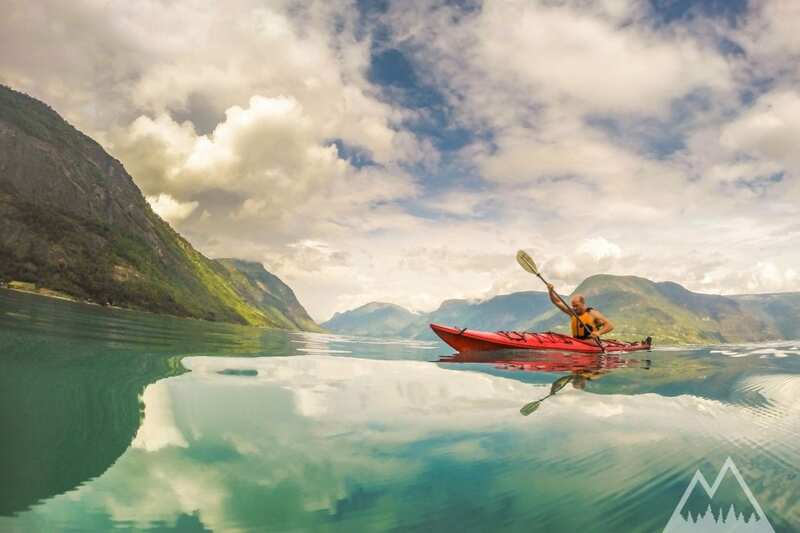 Adventure Travelers are taking more time to enjoy their time off. The survey, which is the first of a planned annual benchmarking of active and adventure travel, was conducted among leisure-selling travel agents, primarily those who specialize in adventure travel. Eighty-six percent of the respondents indicated they’ve experienced growth in their adventure travel sales over the past three years. Also of note, the number of respondents who reported that the average age of adventure travelers falls into the 29-40 age range versus 41-50 age range differed by only one percentage point, and a healthy 22 percent of adventure travelers fall into the 51-60 age bracket. The survey also revealed that 65 percent of survey respondents stated the majority of their adventure travel business involves trips of 7 to 10 days in length and another 21 percent are most commonly booking journeys of 11 days or longer. From a pricing standpoint, 30 percent of respondents said adventure travelers are spending $2000-3000 per person on average; another 33 percent cited an average spend of between $3000-5000 per person and 22.5 percent indicated consumers are typically spending $5000-plus per person on average. “Clearly, adventure travel is on the rise and the average age of adventure travelers is expanding,” said John Lovell, CTC, President of Travel Leaders Network and Leisure Group. “Consumers are focused more and more on authentic, transformational and exciting travel experiences, which is helping to fuel the growth in adventure travel. 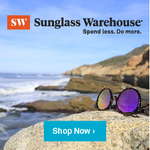 And we are seeing many consumers spending big dollars on adventure travel to far-flung destinations on longer journeys as well as many who are combining active and adventure travel with some luxury elements,” Lovell commented. The percentage of male versus female adventure travelers varied by only one percentage point (50.5 percent male; 49.5 percent female). 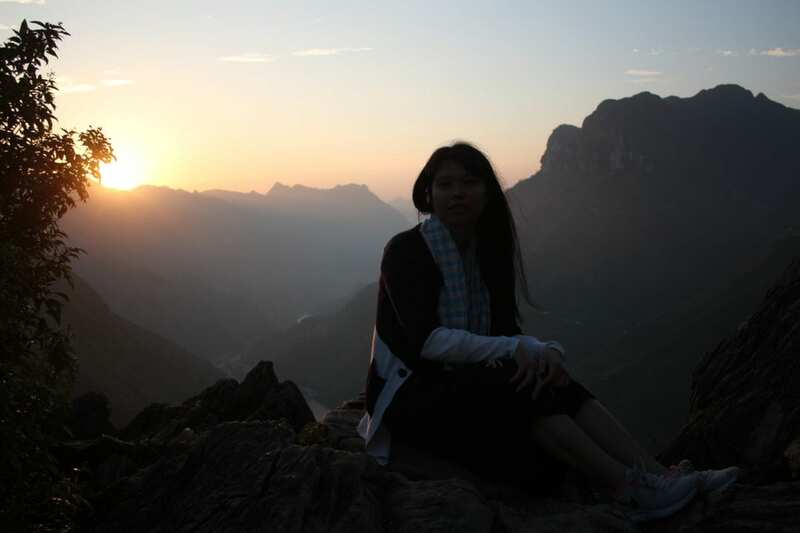 However, a majority of the decision-making with respect to purchasing adventure travel is done by females (64 percent), consistent with travel purchase trends in the larger travel industry. The survey results showed a strong mix of novice versus experienced adventure travelers. The survey indicated that adventure travelers are booking a mix of pre-organized tour operator packages and customized independent trips with neither category strongly leading the other. Consumers seeking a travel agent who is an adventure travel specialist may visit www.itravelbetter.com and search by specialty. In addition to active and adventure travel, Travel Leaders Network travel professionals also specialize in leisure and luxury travel, business travel, honeymoon and destination weddings – as well as active and adventure travel. Travel Leaders Group (www.travelleadersgroup.com) is transforming travel with a commitment to our vacation and business travel clients through our progressive approach toward each unique travel experience. Having already assisted millions of travelers, Travel Leaders Group manages leisure, business and franchise travel operations under a variety of diversified divisions and brands. With over 7,000 agency locations, Travel Leaders Group ranks as one of the industry’s largest traditional travel agency companies. Established in 1990, the Adventure Travel Trade Association (ATTA) today is widely recognized as a vital leadership voice and partner for the adventure travel industry around the world. The membership and trade organization is designed to be a force for the industry and exists to drive thought leadership, industry promotion, and opportunities to network and convene globally to create trade and business health. It currently serves more than 1,000 members in 100 countries worldwide. The constituency is made up of tour operators, tourism boards, specialty agents, and accommodations all sharing a vested interest in the sustainable development of adventure tourism. 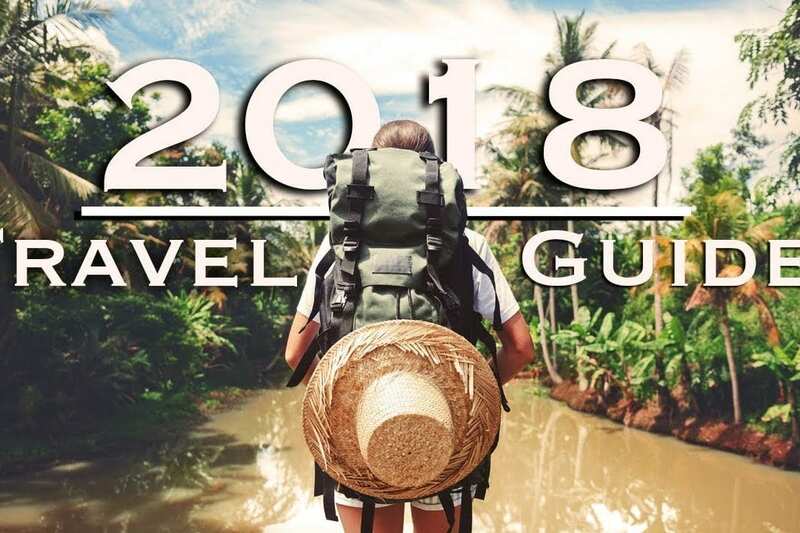 Travel Leaders Group has named 2018 Year of the Travel Agent. Over the last decade, the travel agency industry has flourished through technology, the growth of travel options and personalized service. Travel Leaders Group represents more than 52,000 travel agents with unmatched expertise in 135,000 destinations and 53,000 areas of interest. Travelers and suppliers have rediscovered the value a professional travel advisor delivers to the travel experience. Travel agents help to move people around the world and keep our economy growing. Randy Morgan is an award-winning bronze sculpture artist who specializes in handcrafted bronze doors, architectural elements, and public art pieces. Photos submitted by the artist. 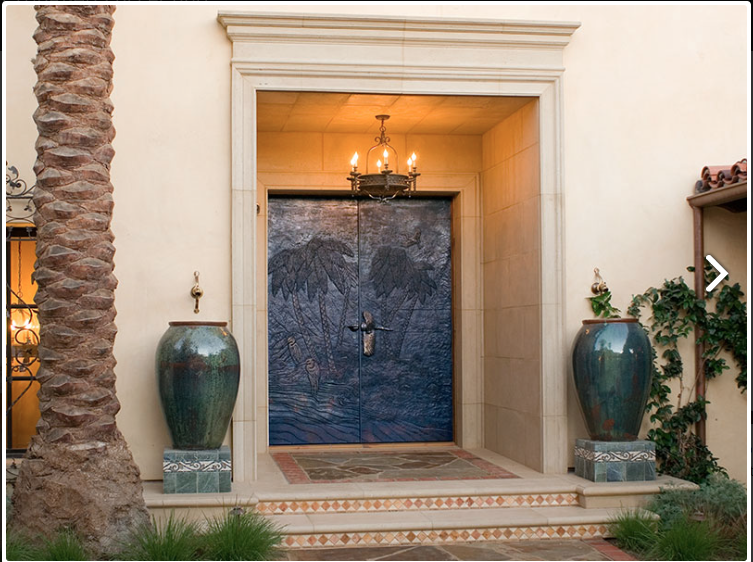 In addition to designing custom doors and tiles, Randy receives commissions for works of art. Home and business owners and organizations looking to make a bold, creative statement will be astounded by the depth of detailing Randy Morgan incorporates into each of his sculptures. Randy is an award-winning bronze sculpture artist who specializes in handcrafted bronze doors, architectural elements, and public art pieces. His works are inspired by his love for nature, history and unique art mediums. 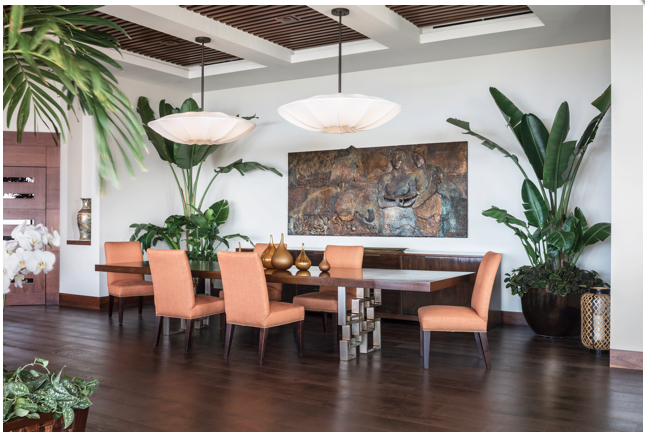 In addition to designing custom doors and tiles, Randy receives commissions for works of art and a few of those are a bronzed wall depicting the history and natural beauty of the Sacramento River region for the Lundberg Family Farms visitors’ center; “The Waterman’s Wall” – a bronzed mural depicting local coastal heroes enjoying a day in the life for the City of Laguna Beach, California; and, a colorful mural celebrating the region’s agricultural heritage for the City of Upland, California. I interviewed Randy by email and understand why art enthusiasts fall madly in love with his work. If his sculptures strike a chord with you, feel free to comment and share this interview. How does sculpture enhance our landscape and interact with nature? Sculpture is innately drawn from the shapes and images of nature. Have you ever stared at a pile of rocks until they became dancing gnomes or clouds? Plus the patinas (colors) that are used in sculpture are basically stains and all derivatives of earth tones and more natural colors than paint. “Art is my life,” Randy Morgan noted. What’s the number one reason you chose sculpture as your medium? As far back as I can remember, I have burned with a passion for the arts. My talents were first recognized at five-years-old by my teacher when she entered my “Painting of a Horse” at the LA County Fair where it won 1st place and a blue ribbon. As a child, my father would bring home large rolls of paper from his print shop and quickly find me immersed in a drawing project. I would spend hour upon hour drawing landscapes and portraits of my sports heroes, cowboys, and Indians. 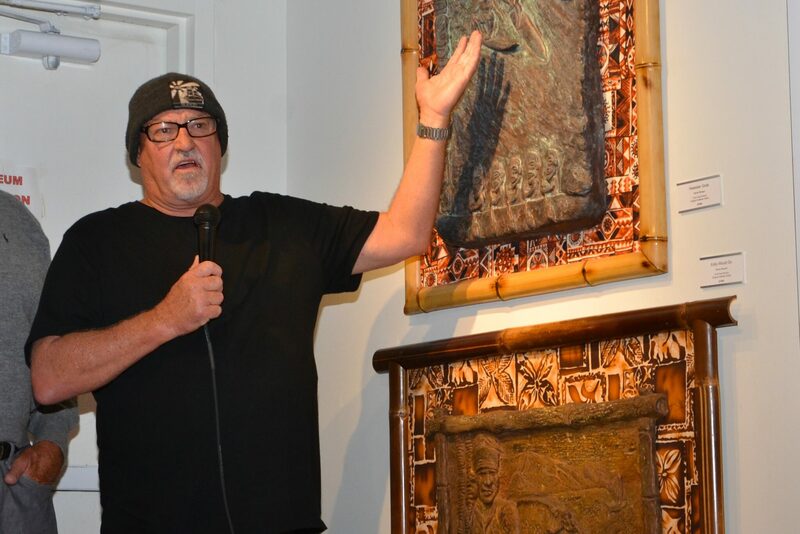 Destiny eventually paired me with Carl Abel, a world-renowned wood carver in Laguna Beach, California. Abel took an interest in my artistic sense and taught me the ancient art. In 1975, I took a life-changing trip to Mexico where I studied art and was drawn to the works of Diego Rivera and Jorge Orosco. Over the next several years, I combined Abel’s techniques with my own evolving artistic sense and a newfound love for bronze casting. I soon found his works gracing residential, commercial and public arenas throughout the world. Although very satisfied with drawing and painting, when I found sculpture I was thrilled to take my drawing to the next level. Being a child I loved building things and getting dirty. I have been called one of the world’s premiere bas-relief sculptors. The definition of bas-relief is drawing in sculpture so it was just a natural progression for me from drawing and painting. What percentage of your sculpture is created with nature in mind? All of it. Art to me is a mimicking of our universe and the natural world. I create my art with the viewer in mind and trying to evoke some sort of feeling or emotional response. What are a few of your upcoming projects and what are you working on now? I am concentrating now on my “Road Map of Art Walls” which are a series of large bas-relief murals that tell a historical story in the communities in which they are placed. Whether it’s icons, the characters, the flora and fauna, the historical landmarks and the stories therein. We round out the story of the making of the art through the magic of film making. You can check these out on my web page at www.randymorganart.com I am currently working on a public art monument in Laguna Beach, California, a Motown industrialization mural in Detroit, Michigan, early next year a wall mural in San Diego, California and we are always evaluating future sites with my fantastic team at Randy Morgan Art. What motivates you to create on days when you don’t feel particularly creative? Some days you just have to chop wood (ha ha!) Seriously I love making art. It’s what I do and what I love to do. These days I try to balance my life with my spirituality, my art, and a lot of laughter and the quest for joy and peace. How does art fit into your life? Without sounding too cliche, art is my life. Art to me is hard work, planning and a leaving little bit of room at the end of the process for magic. What’s your all-time favorite project? The next one! That’s a tough question it’s like choosing between your children. If I had to just pick one it would have to be the Art Hotel project in Laguna Beach, CA for my friend Gail Duncan at her hotel. This 70 by 10 foot mural around the pool is pure Laguna Beach. I would like to add that we as artists need art patrons. Without art, patrons to share our vision with there would be no Sistine Chapel. I could not have created a single mural on my “Roadmap of Walls” without the support of art patrons. I have been fortunate enough to collaborate with some really extraordinary art patrons without whom my “Roadmap of Art Walls would not be possible. Artists who would like to be featured on my websites (https://joanmatsuitravelwriter.com, https://chigirie.com, and https://jstockphotos.com should send a bio, at least five (malware and virus-free) images, an artist’s statement, and a list of recent projects. Interviews will be conducted by email, unless otherwise determined, and the posts will be published at my convenience and according to my editorial calendar. I’m fascinated with Thailand and it’s cuisine and beverages and I’m adding these stories to my notebook so the first chance I get, I’ll be on my way to this extraordinary kingdom with my itinerary planned well in advance. I hope you’ll find them useful. Be sure to read the full article at travelandleisure.com. What’s your most memorable experience while traveling overseas? Leave your comments here or on social media. My father, however, had better ideas. He and I would show up, make our rounds politely, then decamp to the nearby Oriental hotel, now the Mandarin Oriental (doubles from $420), his old friend Nelson in tow. Over cocktails, the men would hatch outlandish plans. They dreamed of launching Bangkok’s first yoga studio, and a hospital-themed aperitif bar called the Pulse. My father, a physician, and Nelson, a flaneur who dressed in crisp linen suits, had no business sense, and when they did eventually put their schemes in motion, both immediately flopped. If they’d only waited a few decades, their ideas might have gone down better. 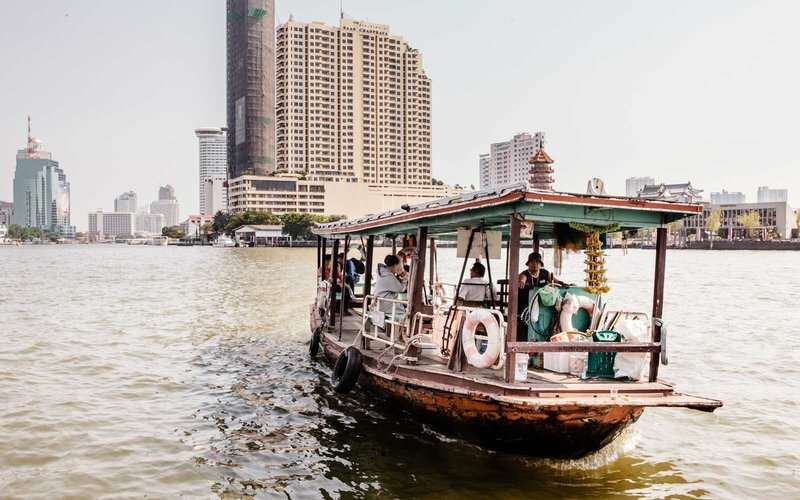 Because today, Bangrak is the epicenter of Bangkok’s Creative District, a trio of neighborhoods populated by artists, designers, chefs, and musicians. 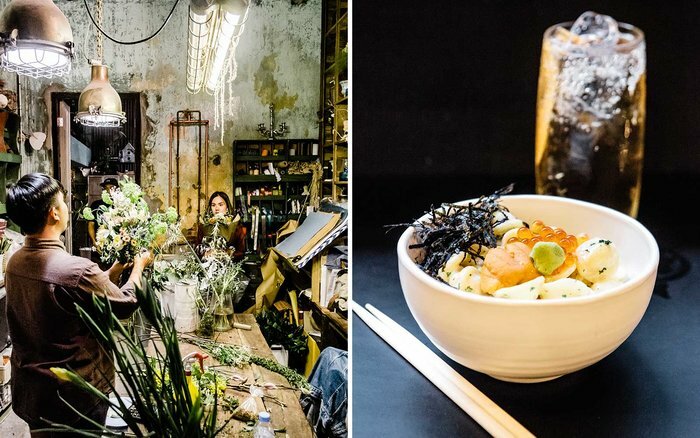 Lured by low rents and a post-industrial aesthetic, these upstart entrepreneurs are renovating shop-houses and using them to reinvent izakaya food, say, or experiment with artisanal spirits. Young and edgy, the Creative District has become the city’s must-visit destination. Besides keeping this information securely on your smartphone, make sure to print this information in case your phone is lost or stolen. Consider keeping this same valuable information in a secured vault accessible through the cloud that you can access from any computer. 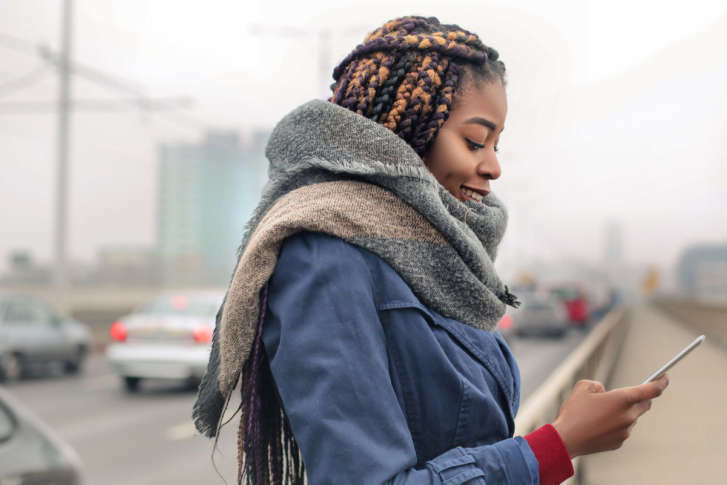 Send your itinerary to close family and friends so they know where you are at all times. Establish regular check-ins to stay connected. Prepare a list of emergency contacts, including friends and family, insurance and emergency travel assistance, local embassy, hotel and transportation. Keep your passport in the hotel safe, along with copies of your credit card. Keep a copy of your passport and medical/travel insurance with you. If the hotel does not have a safe, or if you are staying in another type of lodging like an Airbnb, keep your important documents with you at all times.Have some cash (i.e. local currency) on you and know your currency exchange rate – not all places will accept credit cards, especially if you are traveling in more remote areas. Familiarize yourself with the local ATMs and, of course, avoid using ATMs at night or in deserted areas. Do not keep all your money in one place — keep it in several places in case your wallet is stolen or lost. 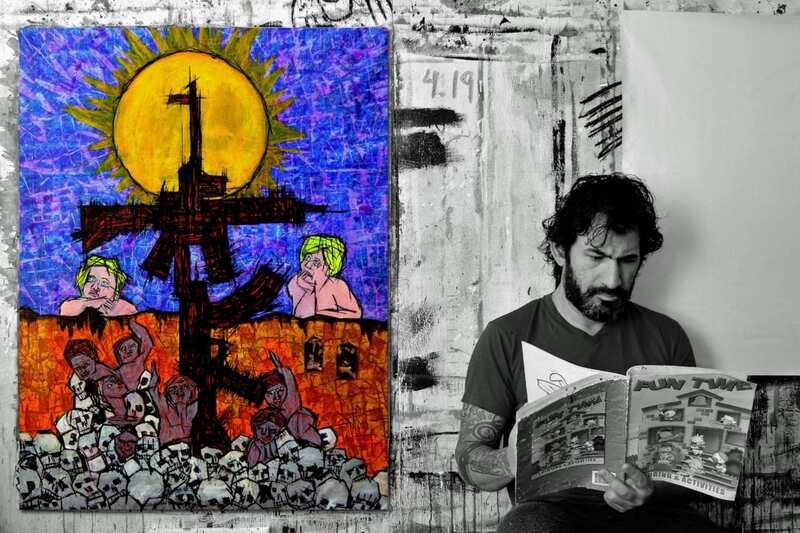 Franck de las Mercedes exhibited his “Urbetivism” collection for the first time on June 16 at his studio, fdIM, in New York City. Photo submitted. Who is Franck de las Mercedes? He’s an internationally recognized artist who is known for creating conceptual abstractions with text and highly-saturated color. His work entitled “Urbetivism,” is inspired by New York City and his birthplace Nicaragua. 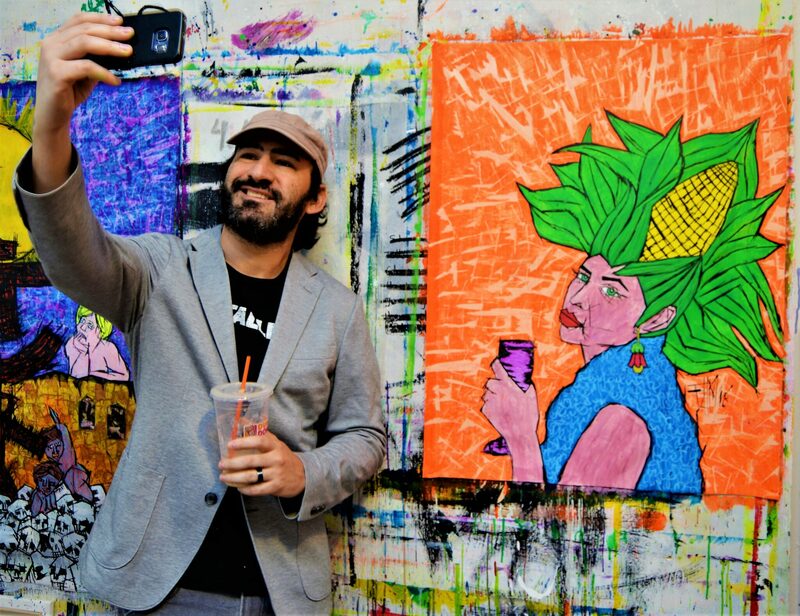 Franck exhibited his Urbetivism paintings for the first time at his open studio on June 16 during “The Northern Manhattan Arts Alliance’s 16th annual Uptown Arts Stroll,” an annual summer event in New York City in the Washington Heights, Inwood, and West Harlem neighborhoods. The stroll showcases the painters, photographers, writers, musicians, sculptors, actors, dancers and filmmakers in Northern Manhattan and the exhibit will run through June 30, 2018. His New York City studio is the backdrop for an array of multifaceted work that incorporates painting, collage, drawing, photography, and writing and combines abstract figuration, journal entry, and hieroglyphic-like text, in energetic abstractions bursting with color to create an intensely emotional urban landscape. Fragments of current events, family dynamics, and books explore the contrast between memory and present-day cultural context. 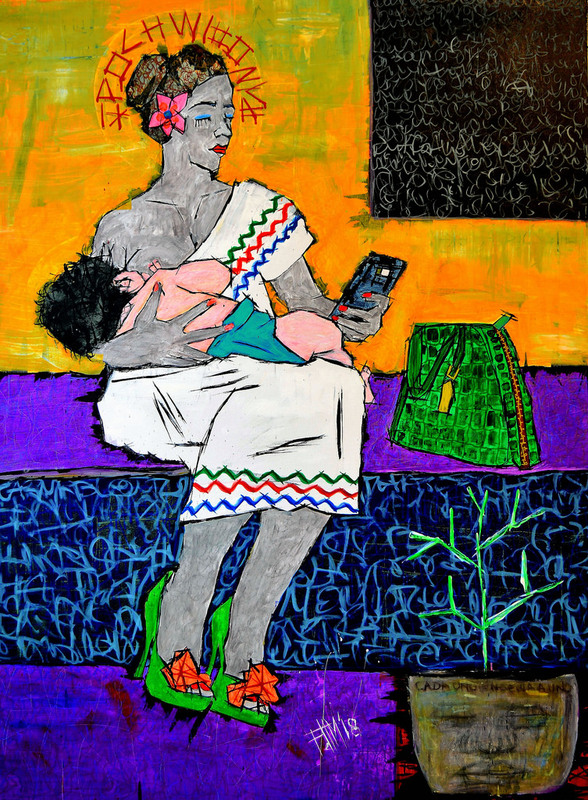 Franck de las Mercedes’ art is multi-faceted with bursts of color. Photo submitted. Franck achieved worldwide in 2006 with his conceptual art project “The Priority Boxes,” a public project conceived as a way to promote peace through participatory free art. The project has been refashioned as a teaching tool for educators, community centers, and art therapy counselors across the United States. He has been featured in several well-respected publications and on television shows. The list includes CBS Sunday Morning, Complex magazine, CNN, Reader’s Digest, The Daily Beast, Good Day NY, Aqui y Ahora and The Christian Science Monitor. Recent exhibitions are Sing for Hope Pianos 2017, The 5th Bronx Latin American Art Biennial, Queens Museum, BronxArtSpace, The Joan Mitchel Foundation, The Artists Unite MTA Poster Project, The Fabergé Big Egg Hunt New York, The NY Museum of Modern Art’s “Abstract Currents”, BKLYN Designs, Naples Museum of Art, Folklore Museum of Tripotamos Greece, The National College of Ireland, Ireland and The French Institute Alliance Française. His work is also a part of the Fundación Francisco de Quevedo’s permanent collection in Ciudad Real, Spain. Well, maybe, the elephants will put on a show for you. They’re definitely a highlight to many a Thailand visitor. In fact, according to Thailand tourism officials, 90 percent of the vacation photos taken in Thailand will feature an elephant. Because visitors can view these majestic creatures close up in their natural habitat and/or they love elephants as I do. But if you choose Thailand for reasons that include but are not limited to elephant photography, keep in mind the Kingdom of Thailand, formerly known as Siam, overflows with beauty and great food. The country is located at the center of the Southeast Asian Indochinese peninsula, with many beautiful islands, holy temples, and abundant phenomenal cuisine. There are over 33,000 active Buddhist temples in Thailand. 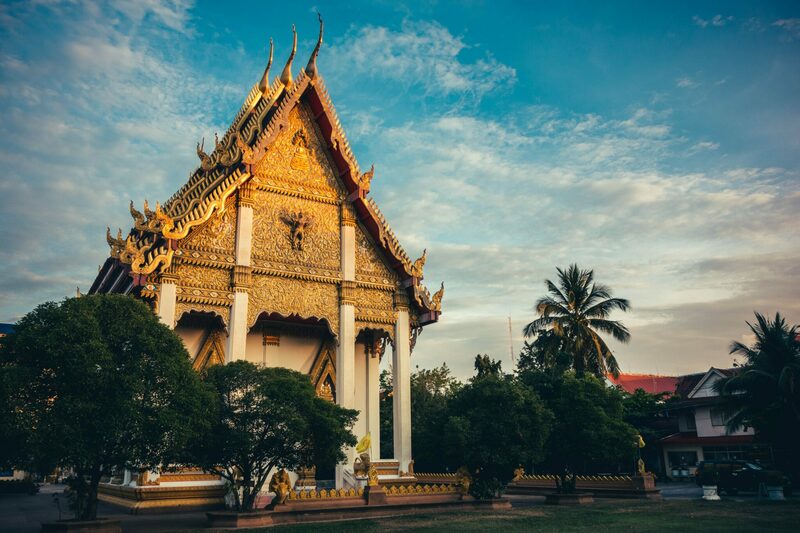 These temples are very prominent and an integral part of Thailand as 93.6% of all people in Thailand are Buddhists. Because these temples are seen as a holy, the structures are very impressive and immaculately ornate. My personal favorite was the Temple of the Emerald Buddha (Wat Phra Kaew) which dates back to the 14th century. 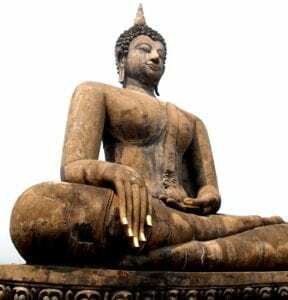 You can experience the religious culture of Thailand, but remember to cover up! There is nothing but breathtaking views from the entrance to the end. A temple is definitely worth looking at if you are ever in Thailand. Breathtaking Thailand art and architecture is not to be missed. We attended Thai Cookery School (Pra Nang) where we were guided through the process of preparing and cooking traditional-style Thai food. With a class of 2-10 people, you start out by visiting a local market to select the freshest ingredients for the dishes you will create. We created 5 dishes, which included a soup, stir-fry, curry, an appetizer, and a dessert. Vegan options are also available. The class is 4 hours and will give you insight into the food culture of Thailand. In the end, you will get a recipe book to recreate those traditional dishes and a certificate to prove your mastery. The Jim Thompson House is a true hidden gem. This museum is about an American, Jim Thompson, who moved to Thailand and changed the silk industry. You get to explore the actual house of Jim Thompson and the mystery behind how he disappeared. There is a silk shop attached as well as an inside/outside restaurant with very tasty and cheap food. This museum will give you an opportunity to learn about Thai silk and all the innovation that surrounded it. This is for those that love animals. Monkey Beach is located on Phi Phi island which is known for its breathtaking views. Imagine going to an island full of monkeys that are happy to see and interact with humans. You are allowed to feed the monkeys and take all the pictures you want. They have boats that you can take over to the island while you take in all the sites or you can rent a kayak and head over there yourself. If you’re feeling adventurous, you can get up close and personal to all types of animals at Chiang Mai Night Safari. Chiang Mai Night Safari is a nocturnal zoo that will entertain you at every turn. The evening will start off with a narrated animal show that introduces you to cool animals. Next, you’ll hop on a tram and go to the Savanna Zone. The Savanna Zone is full of animals whose habitats are in the African savanna. There you will see giraffes, zebras, rhinos, and more. Afterward, you’ll head over to the Predator Zone which is full of carnivores! There you will see lions, bears, pumas, and more. This is a place you won’t forget as you have face to face interactions with various animals on this night safari. Where should YOU TRAVEL in 2018? Watch this video and find out! We share the 18 Best Travel destinations of 2018. HELLO FROM NORWAY! 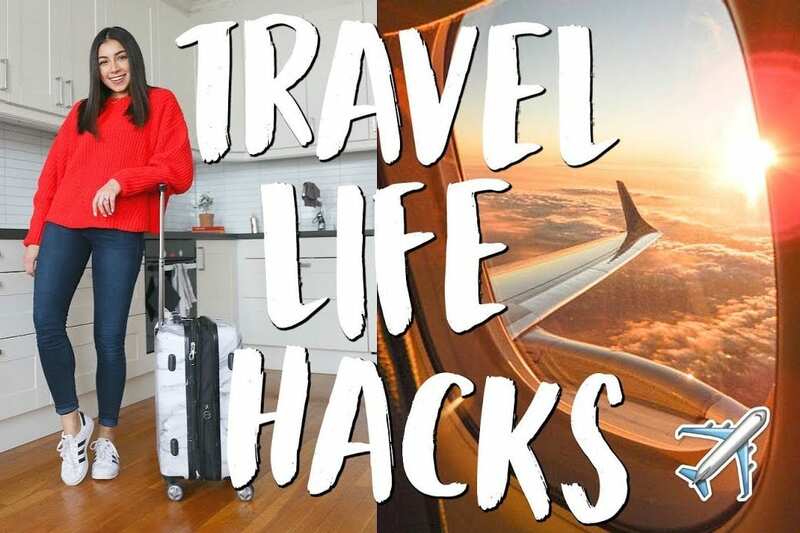 Here are 22 of my best travel life hacks and travel tips! I travel quite often so I thought I would share all my little secrets 🙂 I hope you guys find this helpful!!! See you soon!! Get $10 to Lyft when you use my code “Jeanine120”! My wife and I traveled to 17 countries in 200 days. This film is the story of our incredible trip! Enjoy! We used a GoPro and a Nikon D7000 for all of the filming. For Business Inquiries please e.mail me at 40northdesigns@gmail.com. Please check out and buy the music from these incredible artists that made this film possible. They are in order of appearance.